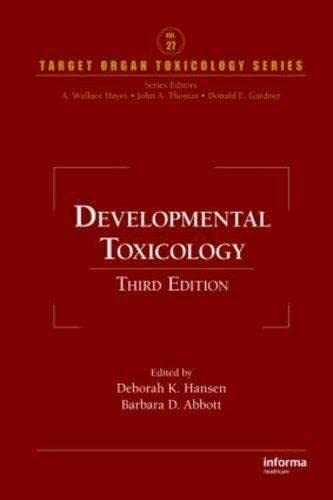 [PDF] Developmental Toxicology, Third Edition (Target Organ Toxicology Series) | Free eBooks Download - EBOOKEE! Description: Highlighting latest advances in genetics and biochemistry, the completely revised Third Edition reviews the field from basic science, clinical, epidemiological, and regulatory perspectives. Contributions from top opinion leaders in the field bring together developments in molecular embryology and cell biology as they apply to problems in developmental toxicology. It covers testing of pharmaceutical and environmental agents and interpretation of developmental toxicology data, highlighting mathematical and statistical techniques, as well as the effects of toxic exposure on the functional development of various organs. The relationship between maternal and developmental toxicology is examined, in addition to current techniques for studying chemical disposition, metabolism, and placental transfer. Close attention is given to the regulatory aspects of testing and risk assessment. Pre- and postconceptional clinical care and genetic factors in clinical developmental toxicology are also discussed. No comments for "[PDF] Developmental Toxicology, Third Edition (Target Organ Toxicology Series)".